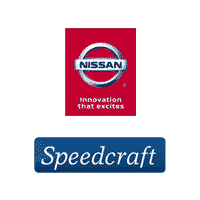 Why buy a 2017 Nissan Rogue from Speedcraft in West Warwick? Safety. The small SUV has been awarded a Top Safety Pick Plus from the independent, non-profit Insurance Institute for Highway Safety. When equipped with forward emergency braking and LED low-beam headlights, it ranked “superior” in front crash prevention. In order to quality for the award, the Rogue had to also earn “good” ratings in the five crashworthiness tests, and an “acceptable” or “good” headlight rating. 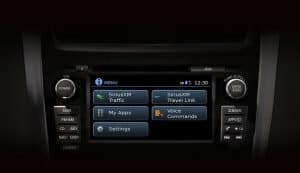 The 2017 Nissan Rogue features its Around View® Monitor with moving object detection. You’ll get a virtual composite 360-degree image of your surroundings and visual and audible alerts if the system detects something moving near the vehicle. But safety isn’t the only reason to buy the 2017 Nissan Rogue. It’s fun for the family and economical too. With 33 mpg on the highway, and the EZ Flex® Seating System, you can travel on a budget and enjoy the ease of folding the second-row seats flat, or reclining, sliding or tilting forward easily to access the optional third row. The 2017 Nissan Rogue has more room behind the second row that any of its competitors, and tall drivers find it comfortable and roomy. Cars.com, in fact, has named the 2017 Nissan Rogue a Family Car of the Year. Judges unanimously praised the Rogue’s Divide-n-Hide® cargo management system, which keeps your gear organized – choose from 18 different configurations – and hidden from prying eyes. A cellphone holder that can actually hold an iPhone 7 Plus in a huge case? It’s here, just forward of the center console and within easy reach. One cars.com judge called the 2017 Nissan Rogue’s split back seat its “ace in the hole,” because lots of cargo can be stored while riders stretch out and enjoy the ride.